Google Senior Vice President for Android posted a photo of the new Android Statue at the Google Campus. There were a lot of news recently about Android and the Android Team. Hugo Barra left the Android team recently and some weeks ago the new Android version 4.3 was announced. But now there are first statements about the next big release. 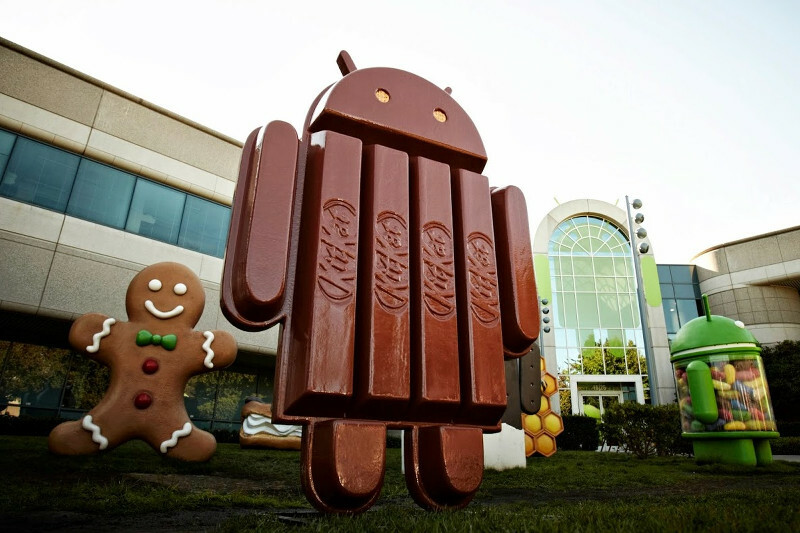 Surprisingly it will be called Android 4.4 aka "KitKat", as announced by Google Chrome and Android VP Sundar Pichai. When reading first you might think about a Joke, but it is not. Pichai as put a photo within this Google+ post, showing the new arrived Android-statue standing in front of the Google Campus. In addition a new Android KitKat page is already online. On this page you will get a historic timeline about all Android versions. Interesting is the hint on the page that Android 4.4 should bring the Android experience to everybody. 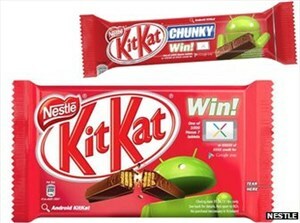 Citation: "It's our goal with Android KitKat to make an amazing Android experience available for everybody." This could mean that Android is again focusing on performance issues or to roll out the default android experience to more and more devices. The timing of Google's announcement could not be better. In this week Microsoft has announce to by Nokias handset business and Apple is right before their presentation about their new iPhone lineup for fall 2013. In general the delivery of a new android statue is an indicator that the software is released within a short time period. Normally this goes hand in hand with the introduction of new Nexus devices, which was originally planned for October or November this year. Who wants to be informed precisely about the new release can register on the new android webpage. You might be very surprised about the choice of the new codename of the Android release. Key Lime Pie was accepted as next Android version name for a long time, but it turned out to be wrong. The code name "KitKat" is part of an advertisement deal between Nestle (or Hershey Chocolates) and Google. It is planned that golden tickets are included in some of the KitKat sweets to win one of 1000 Nexus 7 tablets or 150000 5 dollar coupons for the Google Play store. This promotion should run in over 19 countries according to BBC reporting. Money was not involved between those companies. The deal will take place between September 6th 2013 and January 31st 2014. In addition Pichai announced that currently there are more than one billion Android devices have been activated so far.